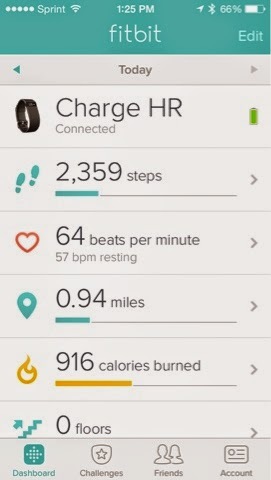 Although splurging on gadgets during my maternity leave is not the greatest idea, I had a trigger finger and a gift card that led me to be a proud new owner of a FitBit Charge HR. I debated this purchase, for sure. I already don't run long enough to wear my Garmin. I have accomplished my goal of running 5k without stopping, albeit slowly and painfully, so my phone is my new tracker there. I ended up selling my heart rate monitor, since I was tired of the batteries dying and dealing with a chest strap. With my little guy hitting three months, my maternity leave is ending, and so exercising is even harder to make time for because I'm making up for lost time together when I'm not at work. I restarted the T-25 program, and after a week of it took me two weeks to finish, I realized that structured exercise isn't easy. Still, I'm having trouble with my work clothes fitting, and thus, daily activities are probably going to be main exercise for a while, and quantifying those would give me a better idea of how I'm doing. 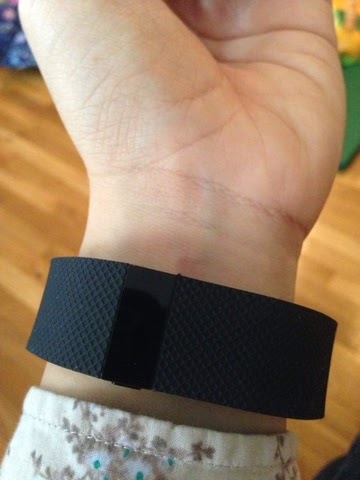 The FitBit comes in several models, from basic that mostly counts steps to more complex. The Charge HR is the second most complex and expensive one. Among other things it calculates steps, analyzes sleep, and uses heart rate information to calibrate those. The Charge HR came out of the box ready to use. I just had to download an app on my phone, and soon, it was ready to go. No need to use my computer, which is good when I'm doing the one-handed act with baby in tow. It charges via USB, but I use my phone charger's AC adapter. Batteries last a few days. I set my daily goal to be 10,000 steps, or about 5 miles. Amazingly, although most of my days at home with baby are pretty darn sedentary, it's good to see I get at least part-way there. 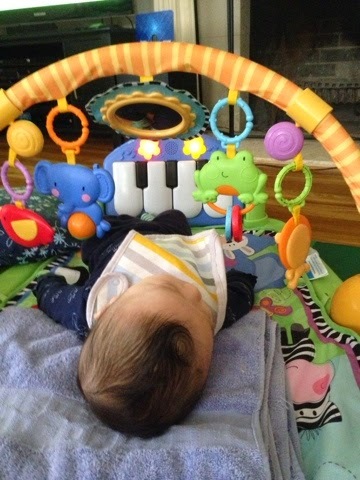 Pictured above is mid-day where I didn't get to take baby out in the stroller. I guess pacing inside does add up! 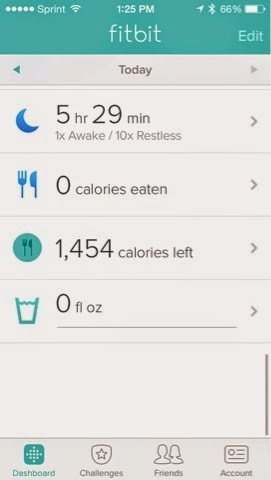 You can also track food and water intake, though I'm currently too lazy (busy?) to do so. The most interesting thing that this tracks is sleep patterns. With a small baby, this is definitely useful to keep tabs of my (or the baby's!) sleeping habits. Now I know that I get about 4-6 hours of broken sleep per night. Hah! And to end that sleep, the silent alarm (vibrates on your wrist) is nifty! 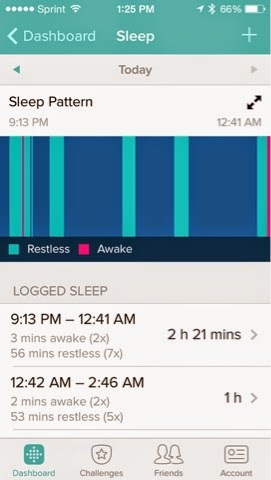 As for the accuracy of this tracker, I'd say that the sleep tracking is probably not as accurate as I'd like. For instance, I would be laying but not asleep sometimes, and it would count it as sleep. Or sometimes, I'm pretty sure I dozed off, and it wouldn't count! Still, it is fun to see this kind of data, even if it IS an approximation. I could say the same about the heart rate and calorie information, but seeing it spelled out is motivating. Here's to hoping it gets me to walk a few extra steps each day! FTC Disclaimer: I purchased this on my own, and my opinions are my honest ones! Lol....I find it kind of ironic that you apparently get more unbroken sleep that childless me. You must tell me your secret!